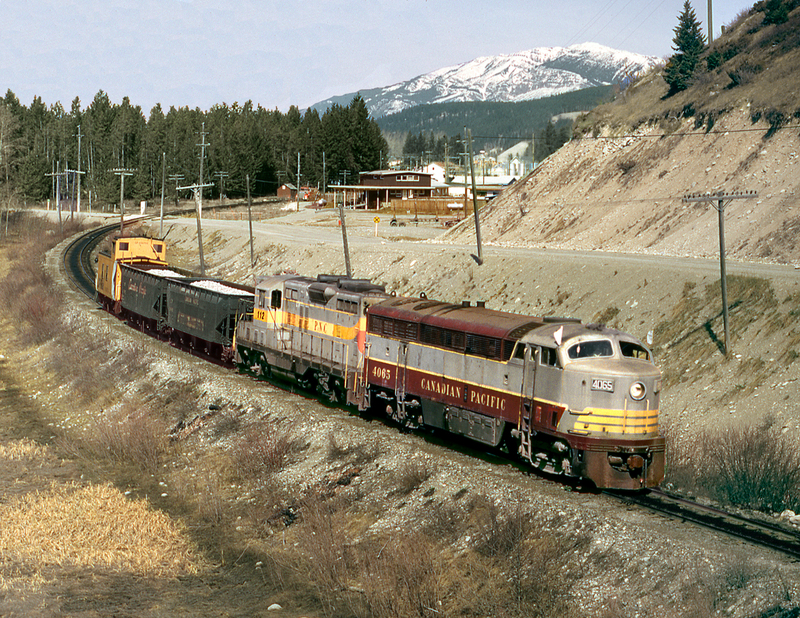 Railpictures.ca - Bill Hooper Photo: The Golden-Cranbrook KCS freight with a C-Liner and leased PNC GP9 heads from the Main Line yard to the South Yard where it will pick up the balance of its train | Railpictures.ca – Canadian Railway Photography – photographie ferroviaire Canadienne. Absolutely beautiful – An “A+” image. Do you happen to have the number of the van? What a classic image and nice scene!